The works of 28 artists and artist groups are showcased at the neoclassical Galata Greek Primary School. Appropriately, the works displayed here are somewhat more playful and in some cases focus on education. The heavy concentration on video work continues with a few powerful exhibits. A highlight for me was Swedish-born, Berlin-based artist Annika Eriksson’s video I am the dog that was always here (loop). Shot in Istanbul this year before the advent of the Gezi movement, it explores gentrification from the point of view of dogs. 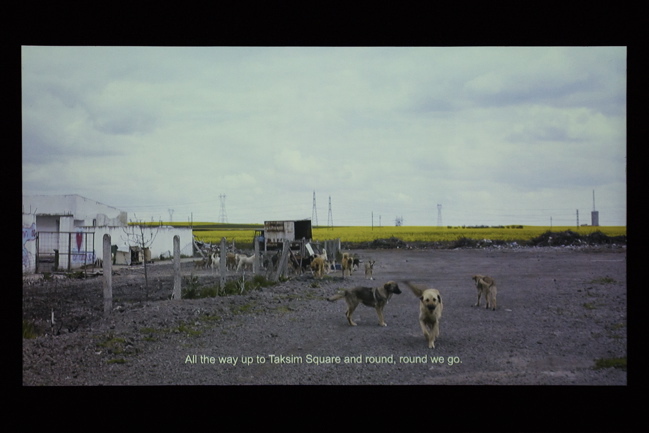 Visuals show stray dogs wandering through deserted fields on the outskirts of the city, while a voiceover lets us into the dogs’ minds and gives us a tour of places such as Tarlabaşı Boulevard, the Grand Rue de Pera and Taksim Square. The script is quite lyrical, almost poetic, and Eriksson uses repetition and looping to relate the process of urban planning over time – everything is mobile, nothing is permanent, things come and go, other things take their place. ‘Like the city, I survive by renewing myself,’ says the dog’s voiceover solemnly. The Egyptian artist Basim Magdy, whose work is characterised by incongruity and the absurd, presents two works. Even though his video entitled 13 Essential Rules for Understanding the World (2011) presents ‘answers’ or principles for living in the world, the work begets more questions than answers. Who, the audience is compelled to ask, are these rules for? Is this the world through the eyes of the tulips that we see in the video? Are the principles directed at the audience, other artists or at Magdy himself? These are all questions open to interpretation, and perhaps rule number 8 gives us some much-needed advice for examining Magdy’s work: ‘Never use logic, abstract behaviour is the way of this world.’ Meanwhile, Magdy’s photo series Every Subtle Gesture (2012–) shows seemingly arbitrary visuals (a petrol station, two sailboats on the water at sunset, a caravan park, a man dressed as a teddy bear) each with a lyrical verse such as ‘Every subtle gesture reflected a growing revolution’ and ‘I started taking daily notes on my non-existence’. With this ongoing series, the artist confronts the audience with confusing imagery and words, and asks them to ‘complete the story themselves’. The poet from whose book the title of the Biennial is borrowed, Lâle Müldür, surprises us with her atmospheric video Violent Green (2013). 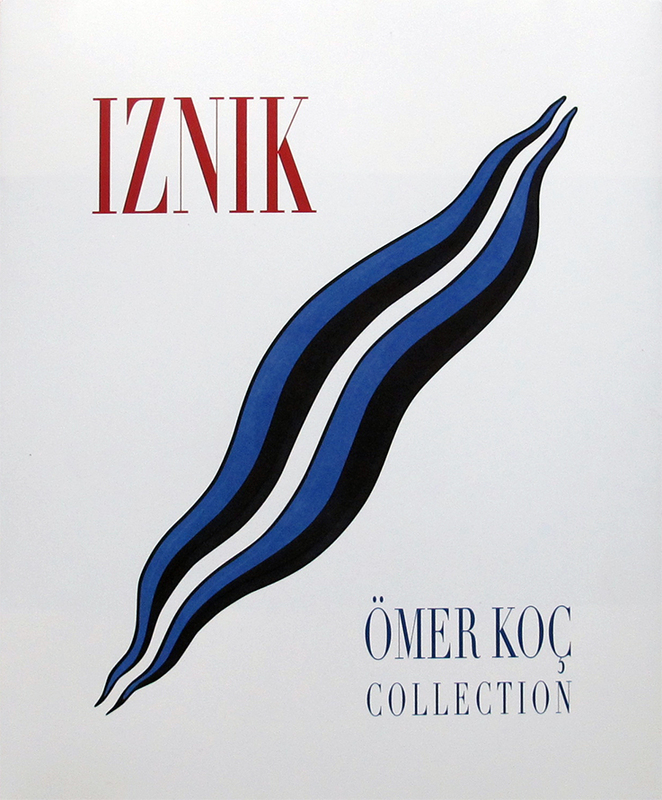 Described as ‘Turkey from the eyes of the poet’, the video features a collection of moments cut from nearly 300 hours of footage. The scene I saw on both my visits showed the Turkish coastline, waves crashing, sun blazing and a docked boat letting off three people, the last of whom is Müldür. The Canadian singer Chinawoman’s moody rendition of ‘I’ll be your woman’ blares throughout the room. For some time Müldür has been interested in making films and proclaims cinema as ‘more and more indicative of beings and their unnatural circumstances’. Her encounter with the experimental film-makers Kaan Karacehennem and Franz von Bodelschwingh has allowed her to enter the cinematic landscape with a rather impressive offering. The venue also features a number of performative works. The entire first floor is dedicated to Inci Eviner’s Co-action Device: A Study. 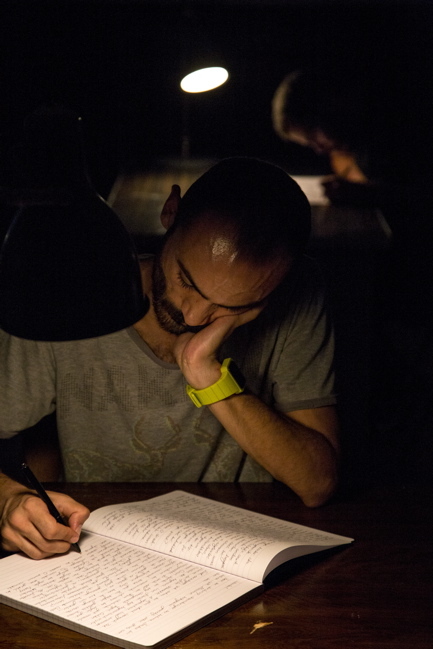 Deemed by the artist as ‘performative research’, it questions what a fixed education system entails. 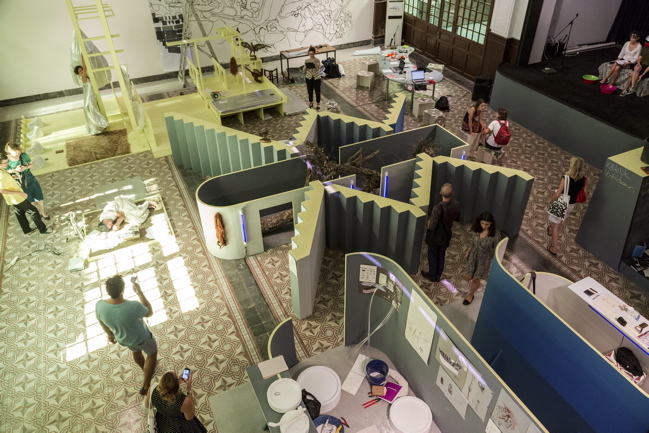 Various ‘classrooms’ are set up around the room and ‘inhabitants’ (the artist chooses not to call them ‘students’) use those spaces in whatever ways they wish throughout the 40-day period of the Biennial. For example, in the ‘art’ room, actors are painting a map on the wall. In the ‘drama’ class, actors perform an interpretative dance. 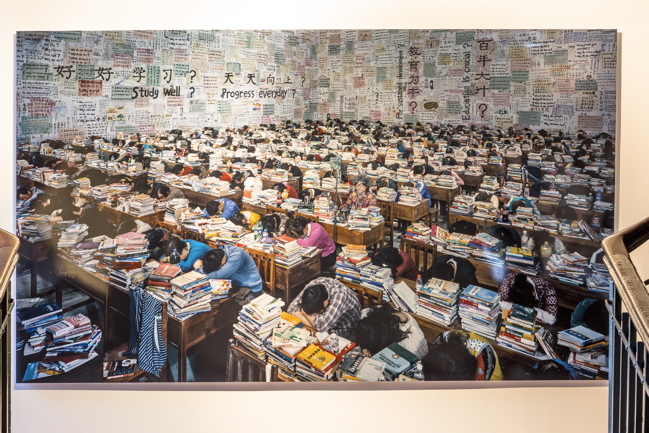 Besides being dynamic and continually refreshing itself, the work also has a certain tongue-in-cheek element as it portrays a ‘school within a school’. Elmgreen & Dragset, an artist duo formed in Denmark in 1995, have staged a performance in which five young men sit in the room for the duration of the Biennial and keep a journal. 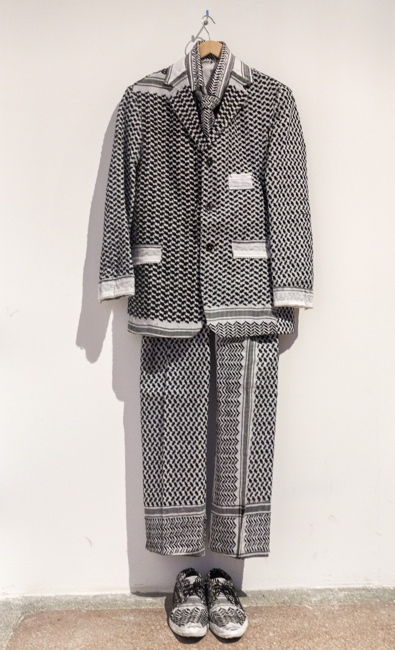 Entitled Istanbul Diaries, the performance is built on their 2003 work at the Galerie Emanuel Perrotin in Paris. However, instead of later publishing the journal entries in a book as was done in 2003, this time the writings will be displayed outside the room; consequently both the performance and the journal entries become ‘public work’. Inspired by the creative political slogans that emerged during the Gezi protests – as well as their censorship – Elmgreen & Dragset are commenting on the wider themes of personal and subjective existence, collective thought and individual time. 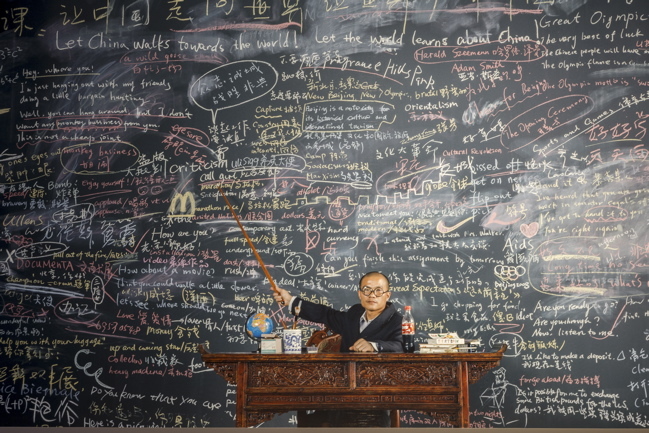 The Chinese artist Wang Qingsong’s massive photos greet us at the top of each level. Qingsong’s distinct style (he trained as a painter) involves setting up images much like a film director, with stages, elaborate scenes and multiple actors. By using a common theme – education – Qingsong’s three-part series explores China’s recent development. Little hints such as the McDonald’s logo and Coke bottles in his über-detailed compositions, for example, comment on the country’s rapidly-growing consumer culture. 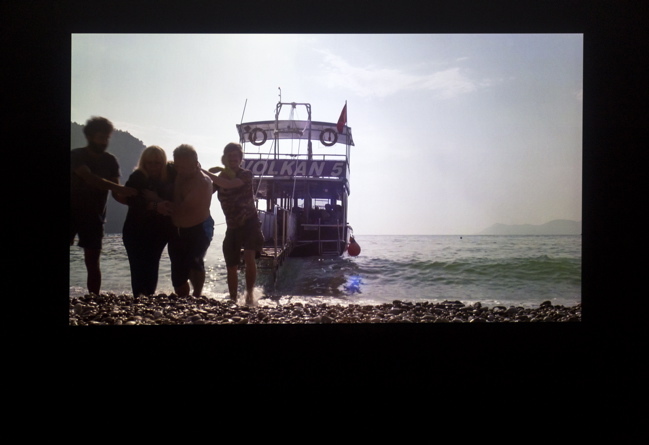 In all three pieces, Follow Me (2003), Follow Him (2010) and Follow You (2013), the artist mischievously critiques the education system in China and its futile nature – facts are administered to pupils in structured ways, leaving many of them failing to understand the real meaning of things. 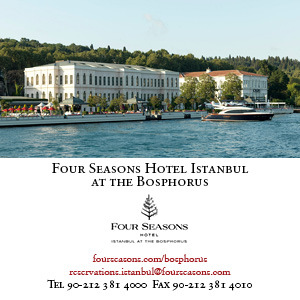 On the terrace, which, unlike the rest of the venue, attempts to provide solutions to some of the issues explored at the Biennial rather than critique them, we are presented with Turkey’s rising artist Volkan Aslan’s interpretation of the Olympic Rings. 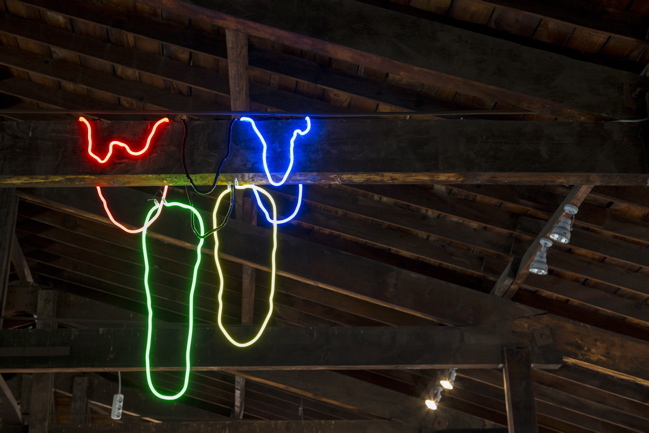 Known for his obsession with objects and their deeper significance, Aslan’s work for the Biennial, Games Games Games (2013), immediately refers to the sporting event, yet the artist creates a twist by using fading neon lights and hanging them loosely on a wooden beam. By making the rings appear unstable, Aslan is commenting on the vulnerability of Turkey hosting the Olympic Games. The work suggests that the potential outcomes, such as branding the city and constructing large-scale venues, are grave – and it invites the viewer to question the power structures that lurk behind the scenes. For more power structures, the Mülksüzleştirme Ağları (Networks of Dispossession) project links the various stakeholders in the country to the urban transformation projects they are involved in – and literally puts prices on them. 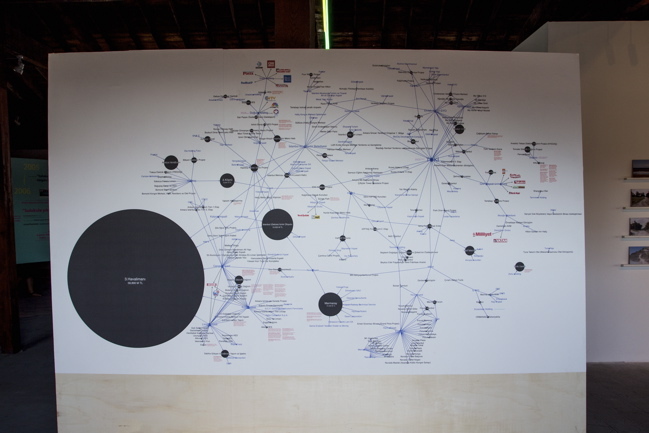 Who’s connected to whom, what kinds of partnerships have been established between the state and private corporations, and who has the monopoly on which projects are all presented via bubble graphs on large posters. The first workshop in the scope of this project took place, not surprisingly, in Gezi Park on June 6, between artists and anonymous participants. As the final piece at this venue, it certainly leaves audiences with some food for thought.